Historians will study the 2016 election for the president of the United States for decades. Those historians will be trying to figure out what happened? How did a man with no political experience become the Republican nominee — and while in the process expose the underbelly of racism and xenophobia rife in the base of the Grand Old Party. Donald Trump is not the first political figure to understand hate and fear sells to those who hate and fear. But he may be the first to expand his targets to include a wide spectrum of “others” necessary for any major party to win a national election. And he’s not the first to be caught lying. However, he may be the first to be continually caught in a maelstrom of lies that have failed to sink his ship. But in the end, this election won’t be decided by Hillary Clinton or Donald Trump, but by the American people, if they choose to act. Too many elections come and go with the vast majority of the electorate sitting on their hands. Even in 2008, when Sen. Barack Obama was on the ticket in Houston County, 21.74 percent of the registered voters stayed home. As a side note, Sen. John McCain won Houston County by 11,298 votes. Two years later with the governor’s office up for grabs, 46.35 percent of Houston County voters sat home. For the 2012 presidential election the voting percentage went up again, but still, 27 percent of registered voters couldn’t be pulled from their Houston County couches. What of this election? Some say it will be a Democratic landslide not seen since Sen. Barry Goldwater’s historic defeat against President Lyndon Johnson in the 1964 race. Goldwater managed to win only six states — Louisiana, Alabama, Mississippi, Georgia, South Carolina and his home state of Arizona. This race will be much different but we are in just as turbulent a time. Think back, if you can, to 1964. President John F. Kennedy was assassinated Nov. 22, 1963. Medgar Evers had met his death by an assassin’s bullet in March of 1963 in Jackson, Mississippi. The Civil Rights Movement was rolling through the South. Johnson was pushing for the Civil Rights Act of 1964 — Goldwater was against it. See any parallels with today? That established order, is crumbling, and that has allowed candidates such as Trump to fill the vacuum with hate and fear. How do we combat such tactics? With love and kindness. We know we’re only TDY here and everything that happens is in God’s purpose. Does that mean we sit on our hands and not vote? Absolutely not. 1. Register to vote. 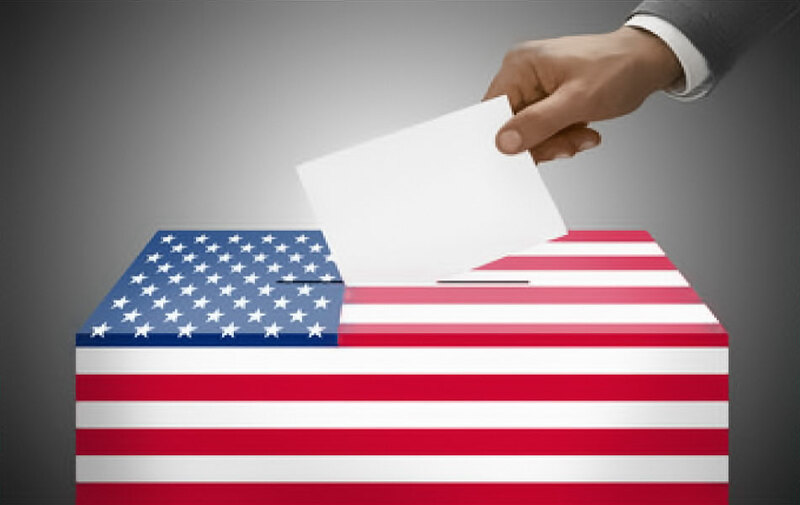 Register at FBBC, public libraries, the Board of Elections or on line at https://registertovote.sos.ga.gov/GAOLVR/ or use the “GA SOS” mobile app for Apple and Android devices. You must register by Oct. 11. 2. Understand the candidates and the issues. Don’t blindly cast votes for people and issues you don’t know or understand. For example, there are four Georgia Constitutional Amendments on the November ballot. Do not trust the language of the questions. The language is designed to be misleading. 3. Vote on Election Day or by absentee ballot or early voting and encourage those you know to vote, too. Your vote is sacred. It’s one thing you have that’s equal to everyone else. It doesn’t matter what kind of car you drive or where you live. We all get one vote. This special right was so important that some terrorized, murdered and intimidated those who tried to use it. If we choose not to vote, the shame isn’t on them, it’s on us.